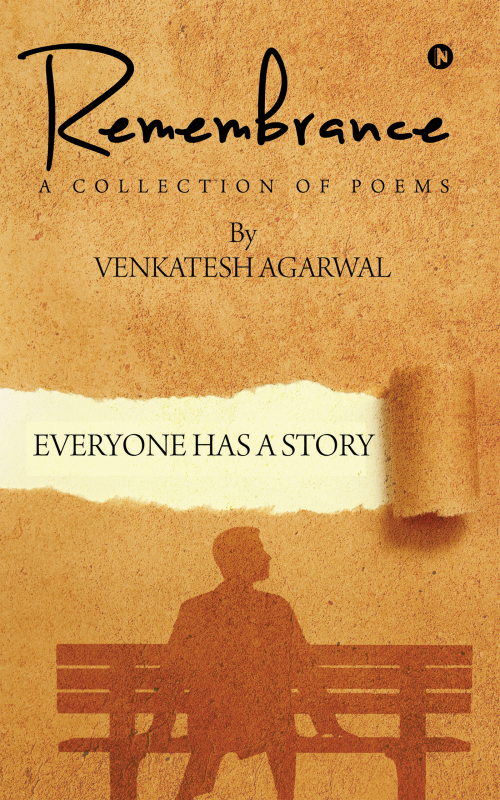 Remembrance is a collection of poems based on the daily life experiences of a commoner. It is the perfect read for a quiet introspective evening, or when you simply want to lose yourself into the memories of those incidents of love, heartbreak, anger and hope that you have been through at some point of time in your past or are going through in your present. These poems will reflect your emotions in such a way that you would instantly feel: This is me, this is exactly how I feel . Whether it is the melancholy of ‘Pursuit,’ or the wishful thinking of ‘Desserts,’ you will be riding a roller coaster ride of emotions. Furthermore, poems like ‘Celebration and Annihilation’ and ‘10 Years of Slavery’ will force you to question your sense of morality and empathy. No matter where you are, whether it is your office, your home, a beach or atop a mountain – reading this book is sure to leave your mind and heart in a tangle of varied emotions such as happiness, nostalgia and self-revelations. Born and raised in Kolkata, Venkatesh is our very own middle-class commoner who goes through the daily grind of life while carrying and meeting the expectations of his loved ones. He is expressive, thoughtful, and you would often find him wondering about the various intricacies of life. He has often been accused of thinking too much. Venkatesh loves to write poems – it’s his getaway drug and a medium to express all those things that runs through his heart at a given moment. He comes from a very simple middle-class family who were always on a pursuit to make ends meet, and this instilled the objectives of ‘hard work’ and ‘pursuit of success’ in him at a very nascent age. To him, life was a lesson which taught him to be strong, caring and to never lose hope. The ability to write came quite late, and it was often his way of expressing his raw emotions from the heart. Venkatesh works as an IT analyst in one of the largest multinational corporations of the world and when he is not searching for answers to life’s difficult questions or gazing continuously at a computer screen, he indulges himself in his love for writing, watching TV series and listening to music. One day, while writing a poem on his everyday experiences, he wondered if there are more people who go through the same feelings and moments like he does in his day to day life. This is how the idea of publishing his collections of poems came to foray.